Is the show open to the public? Is it free to visit? 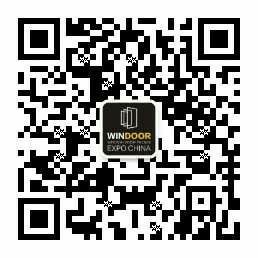 Windoor Expo is open to the public. The admission is free of charge, but visitor registration is required. Visitors are recommended to complete the online registration and obtain an e-badge prior to the expo. Click to view the latest 2017 Exhibitor List. I have registered online but have not received my confirmation email. What shall I do? Please look for the confirmation email in your junkemail folder. If still unable to recover, please write to vps@citiexpo.com toget your confirmation email. Please look for the confirmation email in your junk email folder. If still unable to recover, please write to vps@citiexpo.com to get your confirmation email. How to get the invitation letter to apply for business visa to enter into China? When are the opening hours for the trade show? * Visitor registration counters close 30 minutes before the fair ends. What if I fail to bring my visitor registration confirmation proof at the show? We encourage you to bring a printed copy of your email confirmation (of your visitor registration) to the expo. The confirmation email will carry your badge number which allows you access to exhibition directly. In case you fail to get the same, contact our staff at ‘Pre-registered Visitor’ counter and they will be happy to help you print your badge.